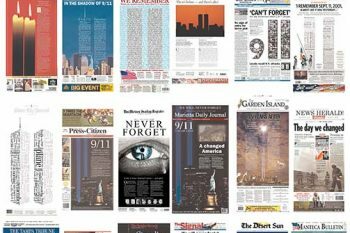 This is a selection from the newspaper front pages commemorating the tenth anniversary of the 9/11 catastrophe. In the previous post I posted some of the covers published on the next day after the terrorist attack. 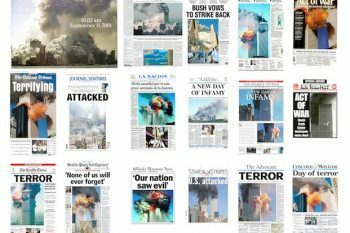 Front pages from 2001. september 11. A couple of the front pages from 2001. september 11. This is how newspapers were published around the word just after the events at the Word Trade Center.